Hello, all! We're moving right along with Digital Dozen week and I've got my Day 3 look to share with you today! 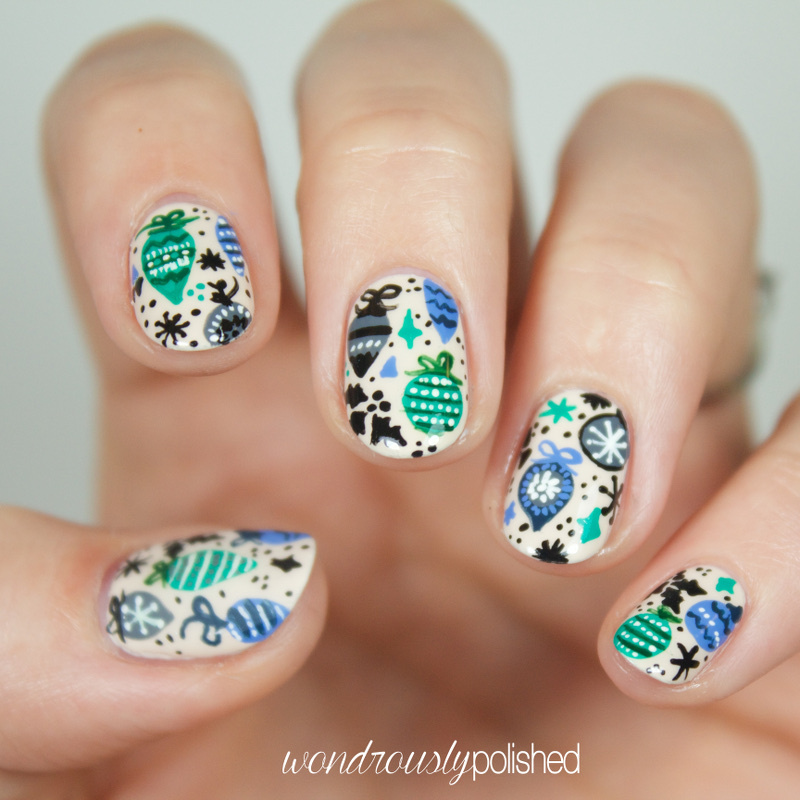 I'm finding myself struggling to come up with manis that aren't pine trees covered in snow (like my day 1 and 2 looks...) so I decided to search the pinterest and my favorite pattern sites for some wintery themed patterns. After a little bit of searching, I found this super cute ornament pattern and was immediately drawn by the cute penguins and color palette. While I wasn't able to fit the penguins into the print, I like the updated vintage feel of these. I've missed doing patterns like this so it was really refreshing for me to sit down to work on this. I do wish some of my lines were a bit tighter, but overall, I'm enjoying this one. I used one of my trusty favorite base polishes for this one, OPI's My Vampire is Buff, and used a mix of polish and acrylic paints for the detailing. 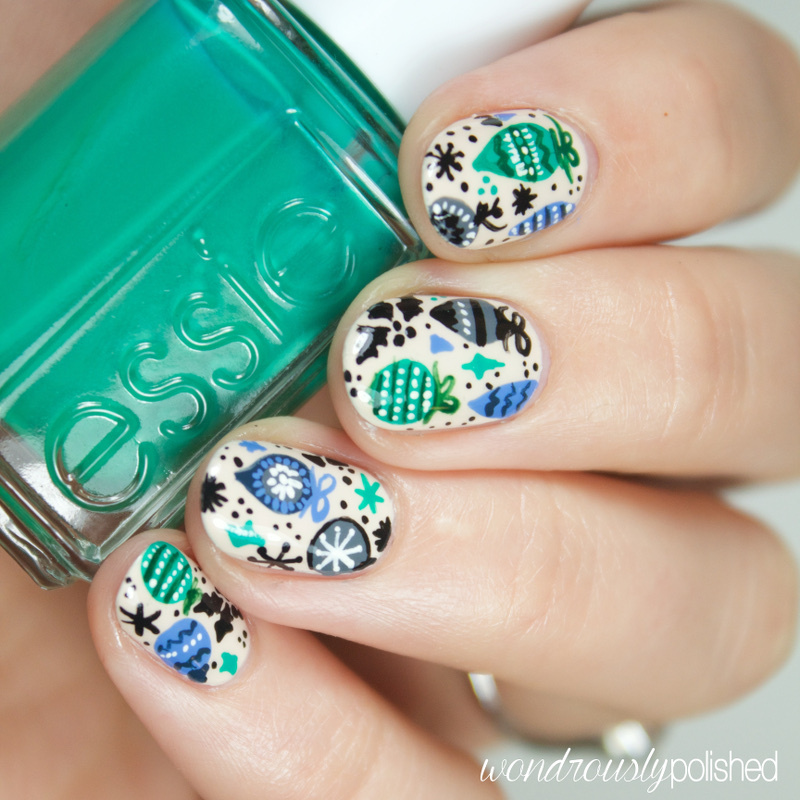 The teal is Essie's Ruffles & Feathers and the acrylic paints are Americana brand. 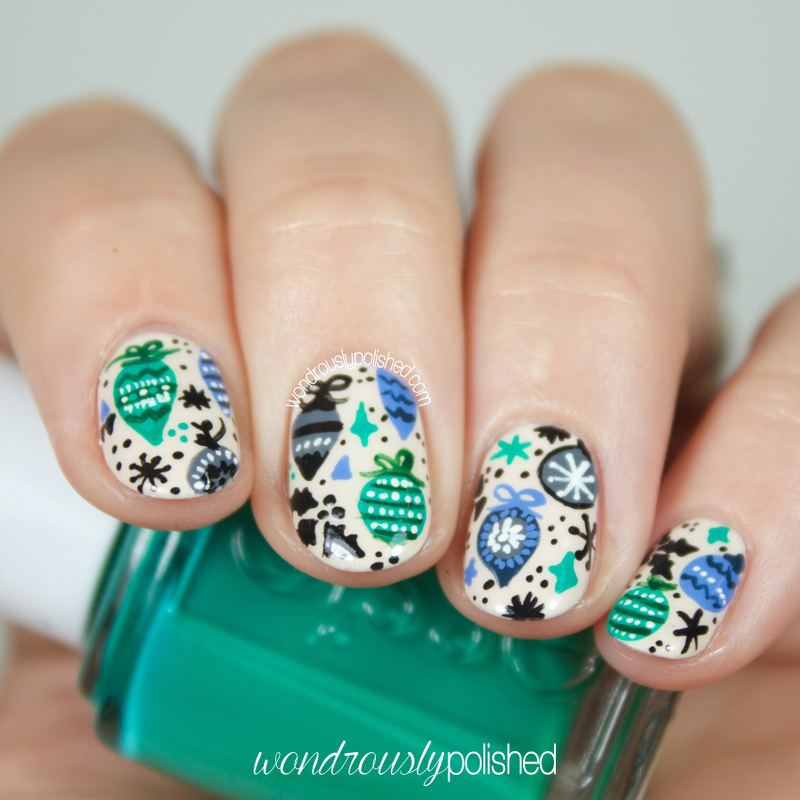 Be sure to check out the other DD ladies's look via the inlinkz below!